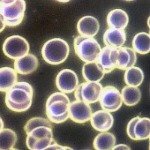 How Do You Lower Cholesterol? So, How Do You Lower Cholesterol? Please Note: The Water Cures Protocol is not for everyone. If you have kidney health issues or if you have a salt intolerance, you need to speak to a naturopathic doctor before you proceed. Also, those with healthy kidneys on starting the water cures protocol have found that sometimes it makes the medications they are on work too good. Thus, if you are on a number of medications, it is necessary to only do this under your doctors supervision. If you read the What Causes High Cholesterol section, then you have learned how cholesterol could be caused by a our bodies being in an acidotic state. The high acidity causes damage only to our arteries. The cholesterol is a band-aid. 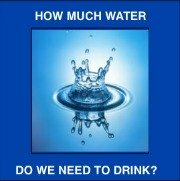 When we drink a lot of water, the effect is to dilute the acidity in our blood, depending on how much water is absorbed. Unfortunately, drinking water alone, produces a diuretic effect. In other words, it makes you loose more water. To prevent this, we need electrolytes. Salt is the primary electrolyte we need. 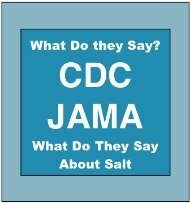 Table salt is toxic. We need to have unprocessed sea salt to obtain the best benefits in lowering cholesterol. 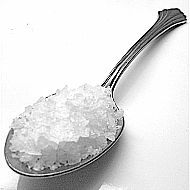 The salt and the minerals included with it, once dissolved in the mouth, enters the blood stream. There, it is spread to all the cells. 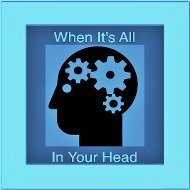 On drinking the water, the water is now more evenly distributed throughout the body. Once hydrated, the cells of the walls of our arteries are better able to handle and heal the acidity that would otherwise damage it. 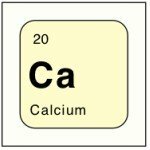 Also, the salt and the various minerals in it will help make the body move more toward the alkaline side of the scale, thus reducing the risk of damage. The most important part of the salt and the water, it will help your body decrease and eventually remove the cholesterol. Yes, some people have actually avoided bypass heart surgery by following both the water cures protocol and some of the additional out of the glass health tips that come from the water cures well. If you go to the Tips to Reduce Cholesterol section you will learn additional steps you can take. These are necessary. They are just as important as eating and drinking are to maintain your best health. Some may say they don't like water or this is too restrictive. 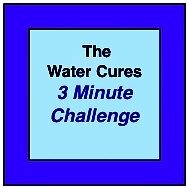 At the least, only try the water cures protocol first thing in the morning and last thing at night. See how you fee and how you are doing after a week. If you feel better, keep doing it and do it additional times during the day. If you still cannot do it, then the water cures is not for you. This is only for those who want to take charge of their health. This is only for those who want to be proactive. Those who do not want to abdicate the responsibility for their health. That's why there are doctors willing, able and ready to do by-pass surgery on hearts. 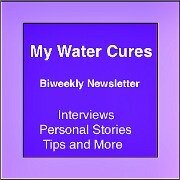 Go to How Do You Lower Cholesterol to review the basics of using the water cures. These are just as important as the water curse. The water cures is only the foundation. This is the rest of what you will need to do. Cholesterol and Glutathione and more of what you need to know. Go To The Top of How Do You Lower Cholesterol? In addition to the unprocessed sea salt and water to hydrate your body, other factors determine how much of your cholesterol is converted to vitamin D.
Both sun light on our skin and exercise can help regulate our cholesterol.